The Motorola DS6707-DP has been discontinued. No direct replacement is available. 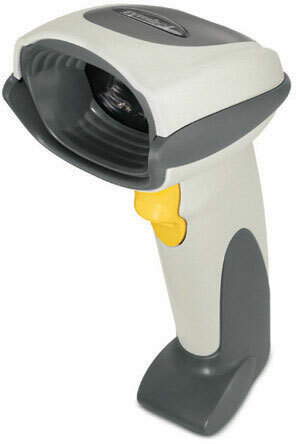 The Motorola DS6707-DP is a premier general purpose scanner, offering the maximum in data capture flexibility. The DS6707-DP is able to capture images and read virtually all 1D and 2D barcodes and direct part marks (DPM) including the most challenging mark, dot peen. This highly versatile device is ideal in industries that depend on a wide variety of data types, such as health care, aerospace and automotive. With the DS6707-DP, workers can capture the right information at the right time, driving inefficiencies and errors out of business processes improving accuracy as well as employee productivity. SCANNER ONLY, 2D imager, DPM (Direct Part Marking) Reading Capability. For digital scanning/HD focus. Cables and accessories must be purchased separately. These include USB (Part# CBA-U01-S07ZAR) or RS-232 Serial cables (Part# CBA-R01-S07PAR) and a Power supply (Part# PWRS-14000-253R). Color: White.